Notejoy now supports markdown syntax, which allows you to type a few quick keystrokes in the editor to enable a formatting option, ensuring your hands never have to leave your keys. Type any of the below followed by a space and the format will automatically be applied. You can also press ? in Notejoy to see this full list of markdown syntax. 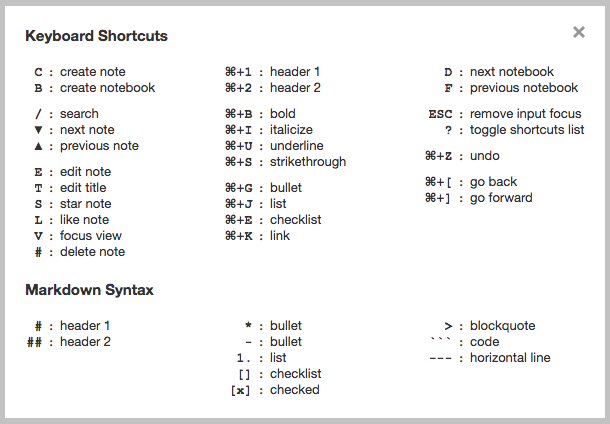 This complements our already rich keyboard shortcuts to help make you as productive as possible in Notejoy!